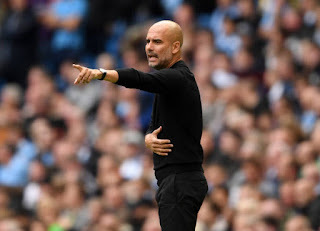 Machestester city manager Pep Guardiola has disclosed that his club had little problem in convincing Sergio Aguero to extend his stay with the Premier League champions but believes the days of high profile international players spending a decade with one club are over. Aguero have signed a one-year extension on his reported £220,000 a week contract which will keep him at the Etihad until 2021. Aguero had stated publicly about returning to his native Argentina to play for Independiente when his European career ends which seems to be 2020 until he signed new contract. But City manager Guardiola revealed he didn't convince Aguero to delay his plans for a return to South America. I didn’t convince him, he decided himself, So I say thanks for the trust he has shown in us, like Vincent Kompany and David Silva. They decided because they show it every day in training sessions, on the pitch and off the pitch, their commitment to our club. I’m so happy they extend their contracts and that he will stay 10 years in the club. Aguero is ready to continue his excellent career as City visit Cardiff this weekend.